Are you thinking of upgrading your toiletry bag? 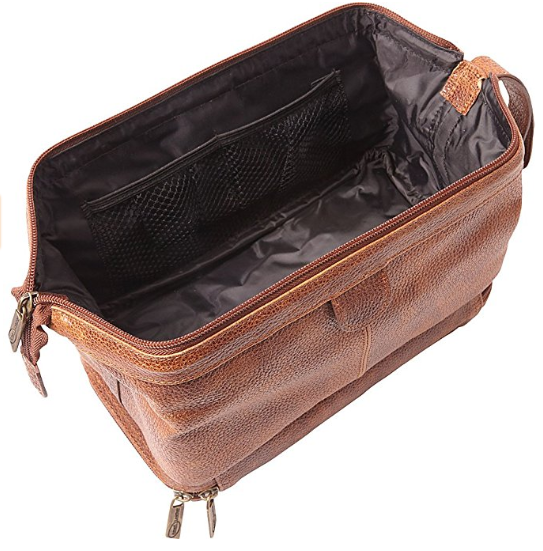 A luxurious interpretation of the classic toiletry bag, AmeriLeather’s version sports a quality leather exterior and convenient waterproof lining. Its easy-access zippered bottom compartment is the ideal place to store your shaving cream, hairspray, and other essential toiletries. 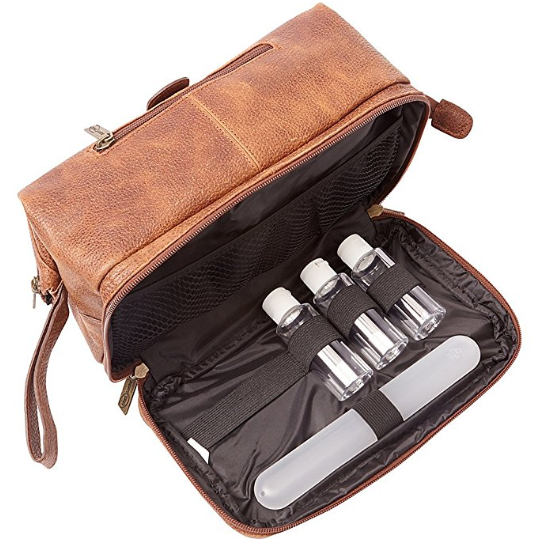 Amazon is selling this handsome genuine leather dopp kit at only USD $39.99 now, a 52% off from the original price – USD $83.99! Shipping within US is free, count on us to get this item to your doorstep at $5/lb, only actual weight is being counted. Sign up now!